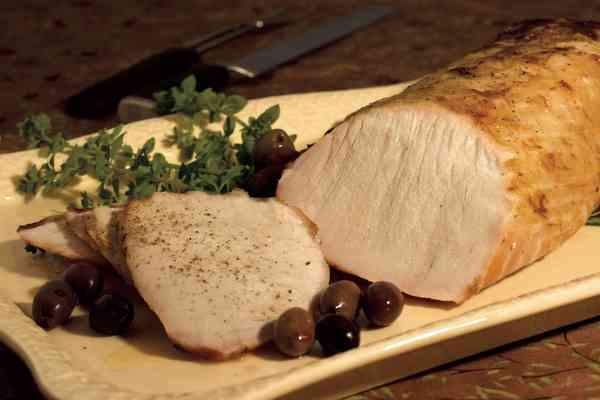 Pork products like this roast still are safe to eat, according to the USDA. Amid flu fears, USDA says pork is safe to eatFear of swine flu is a good reason to wash your hands, but not to take pork off the menu. Federal health officials say the virus that has triggered fears of a flu pandemic is not transmitted by food, and that all food-borne germs are killed when pork is cooked to the recommended internal temperature of 160 F.
There also is no evidence so far that American pigs are infected with the virus, or that people can become infected by touching uncooked pork, the U.S. Department of Agriculture said Monday. Swine flu can be spread the same way seasonal viruses are, mainly through sneezing, coughing and touching surfaces contaminated with the virus, as well as through contact with infected pigs, according to the Centers for Disease Control and Prevention. When cooking pork, internal temperature is a better indicator than color to determine whether the meat is safely cooked. Cooked pork sometimes will still be pink at the center, depending on cooking method and other ingredients. Thomas Griffiths, an associate dean at the Culinary Institute of America in Hyde Park, N.Y., says smaller cuts of pork, such as chops or medallions, should be cooked until they hit 160 F.